In many Western cultures, we are taught that our clothes should be washed after every wear – but aside from undergarments and socks, this usually isn’t necessary. 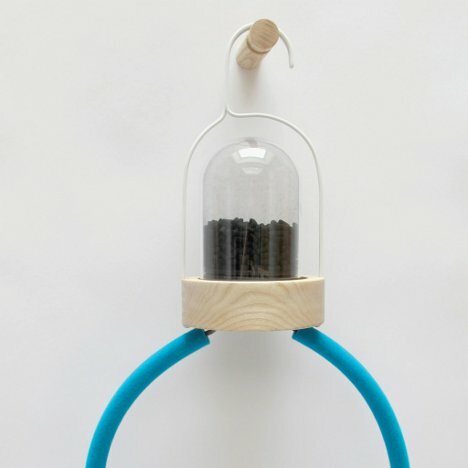 Designer Lisa Marie Bengtsson thinks that her carbon filter hangers called Bye Bye Laundry can help keep clothes fresh while eliminating the wasteful practice of over-washing. Washing is hard on clothes and uses up a lot of resources like water and electricity. But admittedly, they can start to smell a little funky after a day of wear. 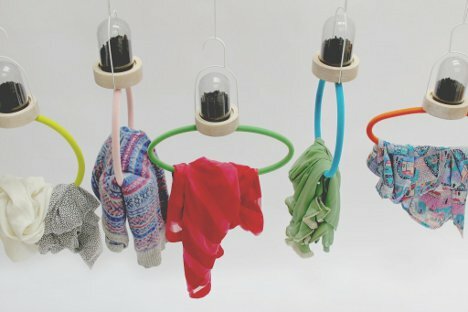 Bengtsson’s activated charcoal hangers neutralize the smells and leave clothes fresh enough to wear at least a few more times before washing. 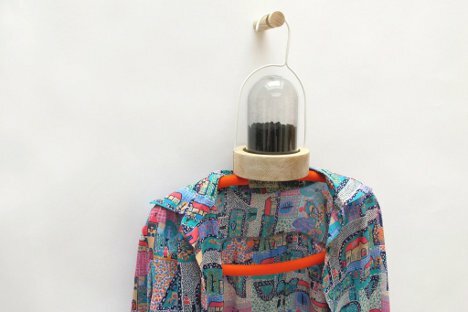 The easily-replaced activated charcoal is contained in a little glass dome with an attached clothing-holding ring. The ring is covered in a soft material, making it feel like a luxurious place to keep your clothes. The hangers are so far just a design project and not something that you can buy. Too bad, because we really weren’t looking forward to doing laundry today.